Redwood Sportfishing Charters offers a fully equipped, professional fishing experience. 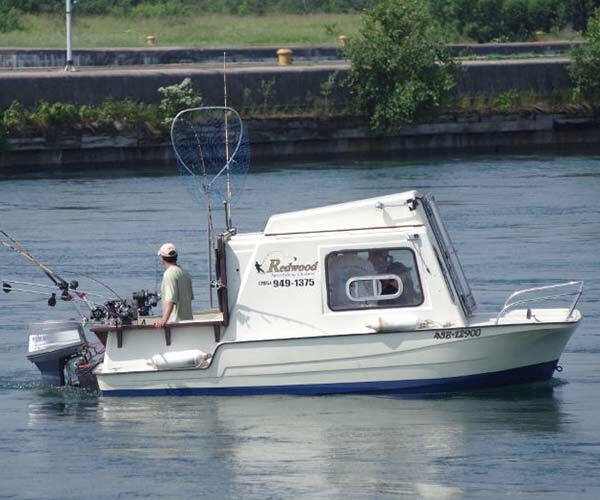 The 18 foot Hobo Redwood Sportfishing Charterboat seats up to 4 persons comfortably and is located on the world famous St. Mary’s River close to downtown beautiful Sault Ste. Marie, Ontario, Canada. 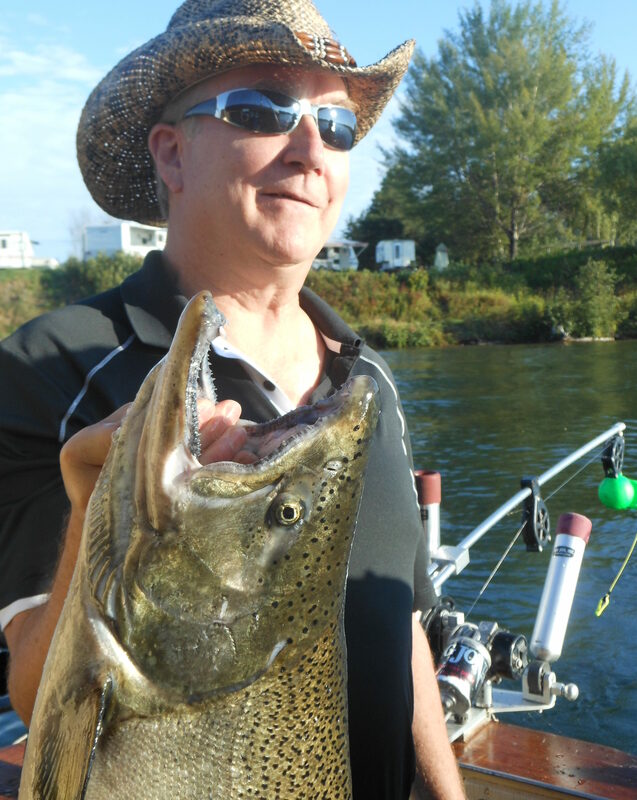 Redwood Sportfishing Charters provides 5 hour daily charters for Pacific Salmon (King, Pink, Coho) and Atlantic Salmon. The season for Pacific salmon begins in late July with the Kings first showing up and then the Pinks in mid to late August and continues with the late Cohos and Steelhead/Rainbow Trout through the end of September and October. The Atlantic Salmon season usually starts mid June and lasts usually 4-5 weeks depending on the feed. This is a highly prized fish and is limited to 1 per person on a sportfishing license. We also offer special excursions for inland Brook/Speckled Trout that can be caught by either spin cast or on a fly rod. This trophy lake is exclusive to Redwood Sportfishing Charters and is a conservation lake only with some of the smaller fish (13 inches or less) taken for shore lunches (extra charges apply). 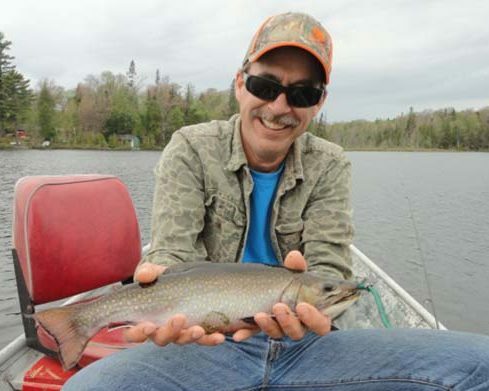 The Brook Trout season is May to September. June and July is Atlantic Salmon time! These are among the most acrobatic of all game fish and can easily strip a spool with a powerful run. This is fast and furious fishing in currents of 5mph up to 8 mph. Brook Trout (Speckled, Specks, and Squaretail) are the most colorful of any freshwater fish. These fish are exceptional powerful fighters especially on a 5-6 wt fly rod or light action spinning combo spooled with 4-6 lb test. The Pacific Salmon package covers Chinook, Pink, and Coho Salmon. The Chinook (King) Salmon are the first to arrive in late July until early October. 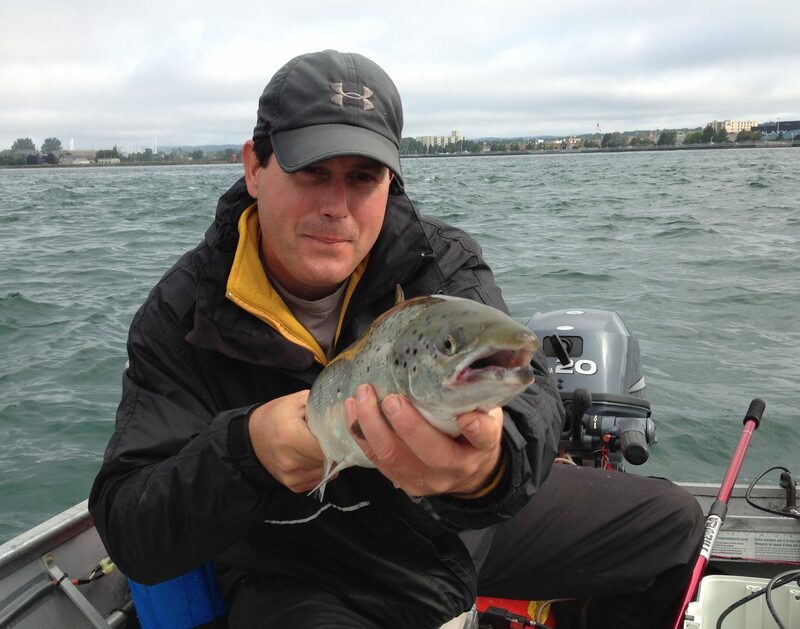 They are the biggest of these Salmon with an average of 12 lbs and great possibilities of landing a 20 pound plus fish. Redwood Charters is committed to provide top notch service and help you catch that big fish.